Trapped on the ship with a killer, shadows seem more ominous and even the most innocent faces seem sinister. Has Charlie inadvertently put Marian in harm’s way? How long does Charlie have before the hunter becomes the hunted? Mary Anne was born in Mercedes, Texas, but has lived in Georgia most of her life. She has had a variety of experiences in her life. Some were great and some, well let's just say Mary Anne has learned many lessons the hard way. Mary Anne has been married for nearly 35 years to the most practically perfect man. They have a newly adopted Tuxedo cat named Gertrude. They enjoy traveling and watching mysteries on TV. 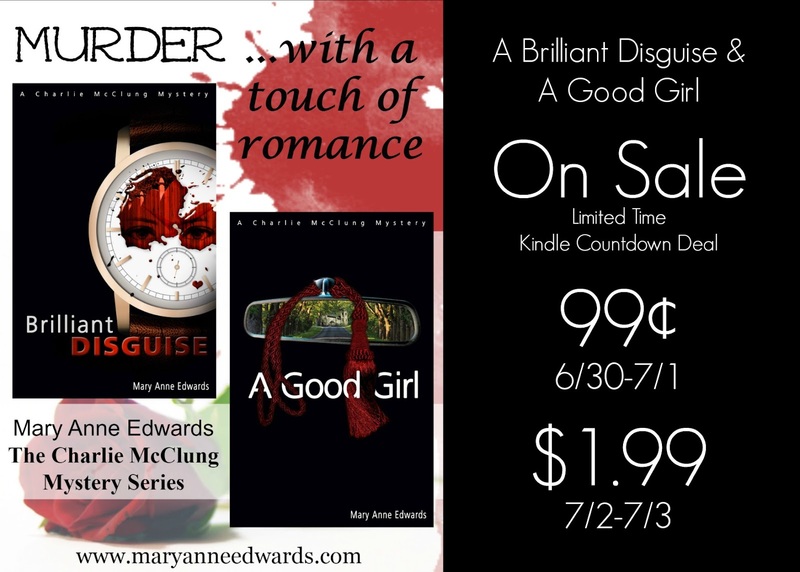 Mary Anne is active in Sisters in Crime Atlanta Chapter, Mystery Writers of America and sits on the advisory board of Rockdale Cares, Inc., a non-profit advocacy group for the developmentally challenged. Although Mary Anne began writing in high school, she didn’t get serious about it until 1999. She writes traditional mysteries that are influenced by some of her favorite authors: Agatha Christie, Anne Perry, Caroline Graham, and Elizabeth Peters. Her first book in the Detective Charlie McClung mysteries, “Brilliant Disguise” was released on January 21, 2014. The next book in the series, “A Good Girl”, was released on September 23, 2014. 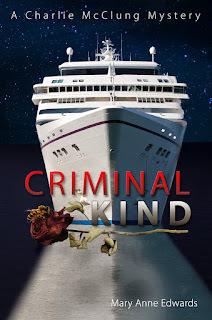 Mary Anne is currently working on the third book in the series, “Criminal Kind”; there are seven more to follow . Thank you for helping me celebrate the release of "Criminal Kind." Sounds pretty good. You don't see too many set on a cruise ship. You are very welcome, Mary Anne! I'm looking forward to reading this one - this series takes place in the early '80's (the technology stone age!) and they are an older couple (late 40s). I read the first in the series a while back and really enjoyed it.